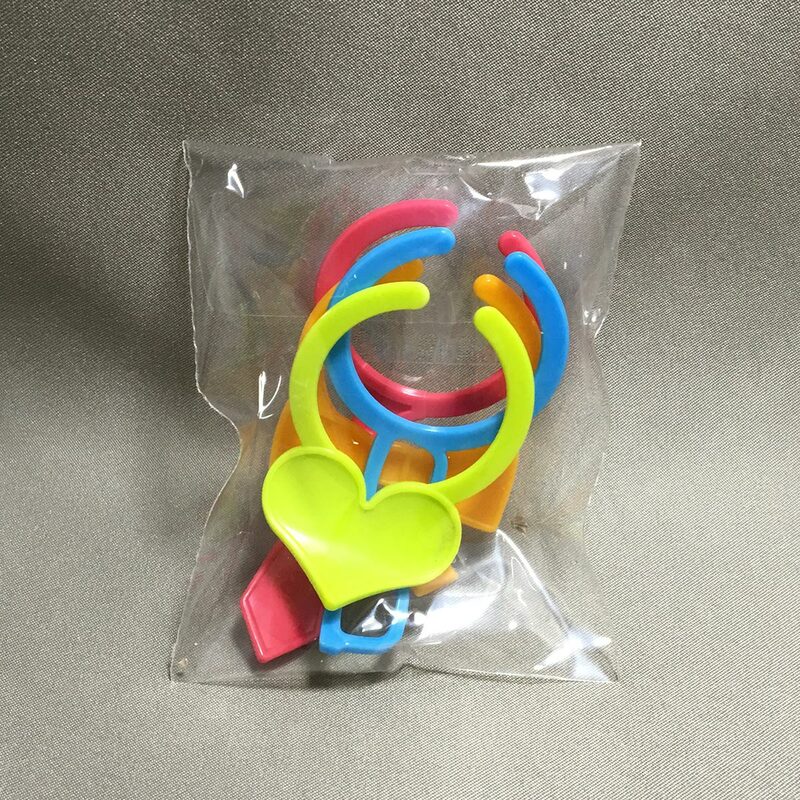 This set of four colourful bottle markers fit nicely over the neck of plastic drink bottles. 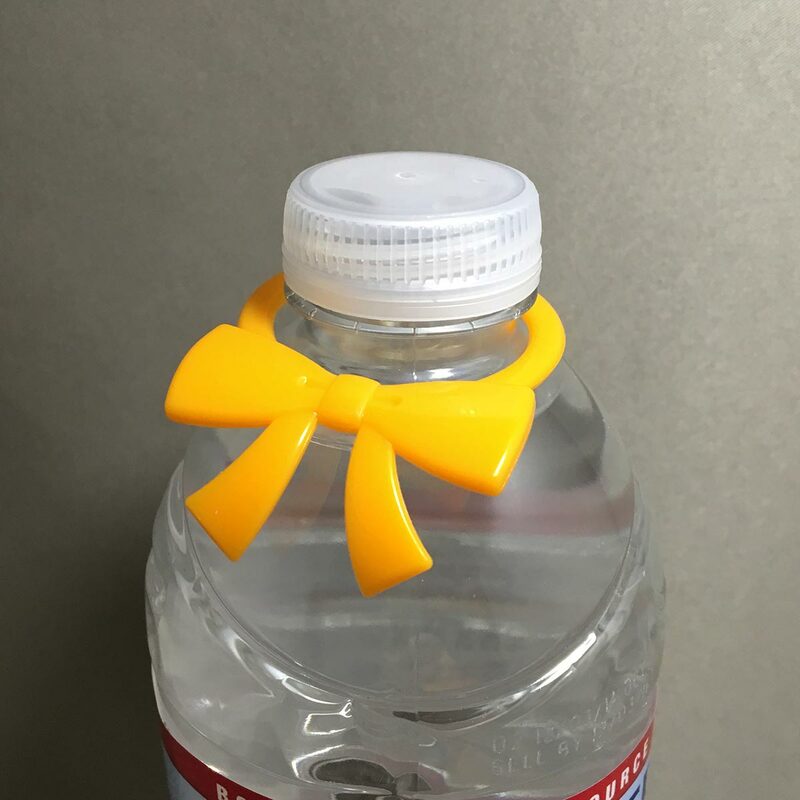 They are playfully shaped to make the bottles easier to identify. 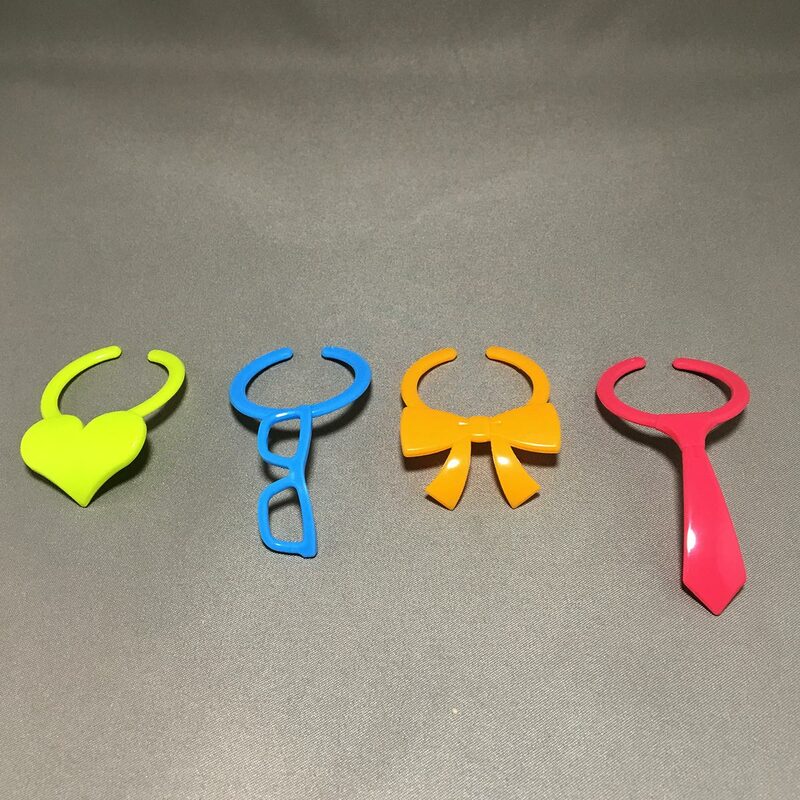 The four shapes are a heart, a ribbon, a pair of glasses and a necktie. 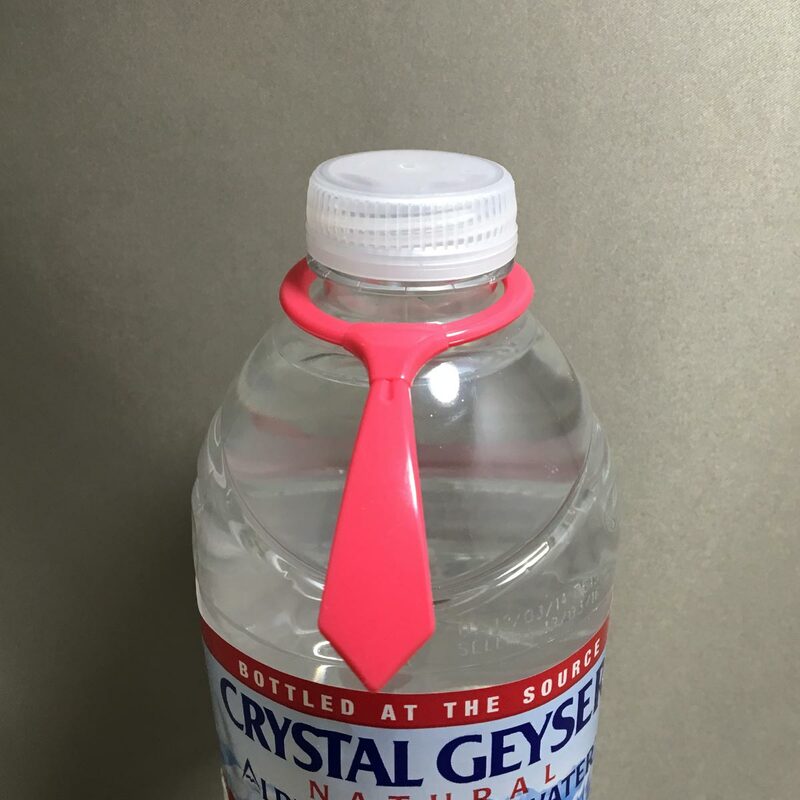 What a great idea for those summer parties. 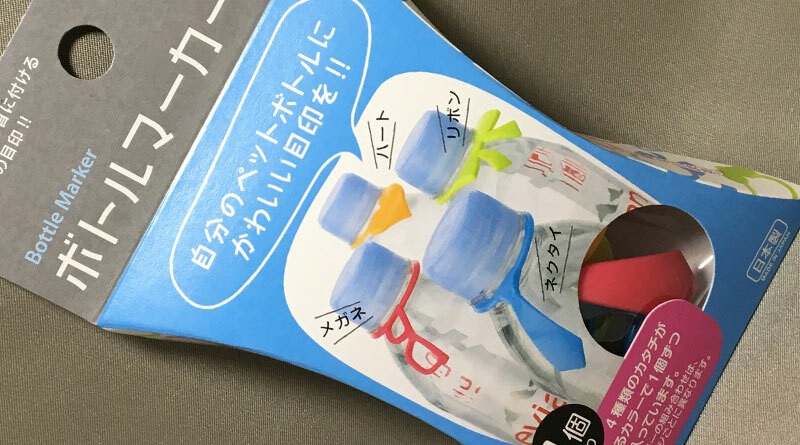 – The colours and shapes may different from the images on the packaging. 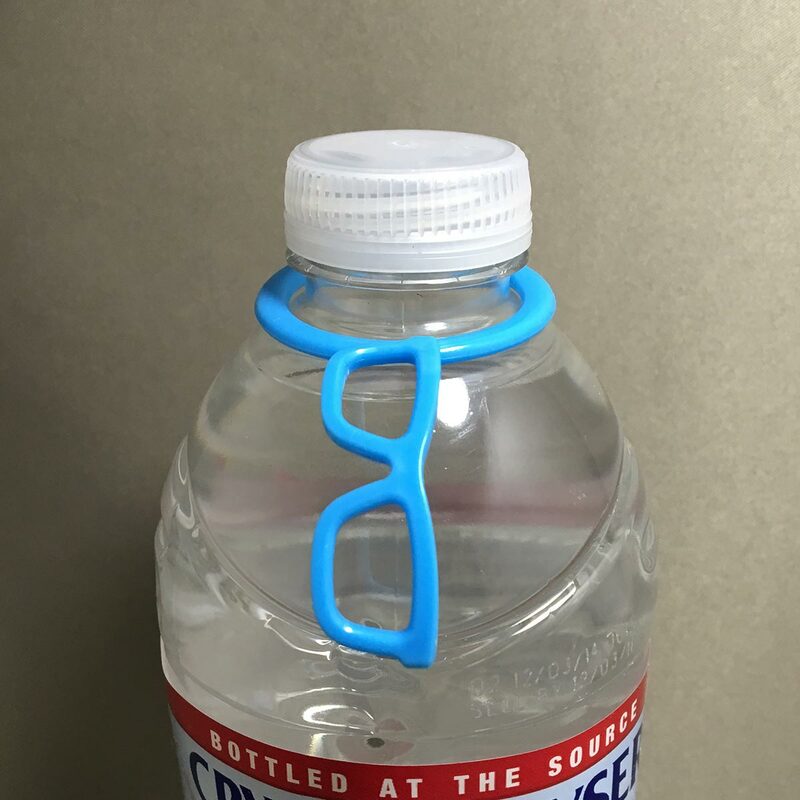 – The bottle markers may not fit all plastic bottles. 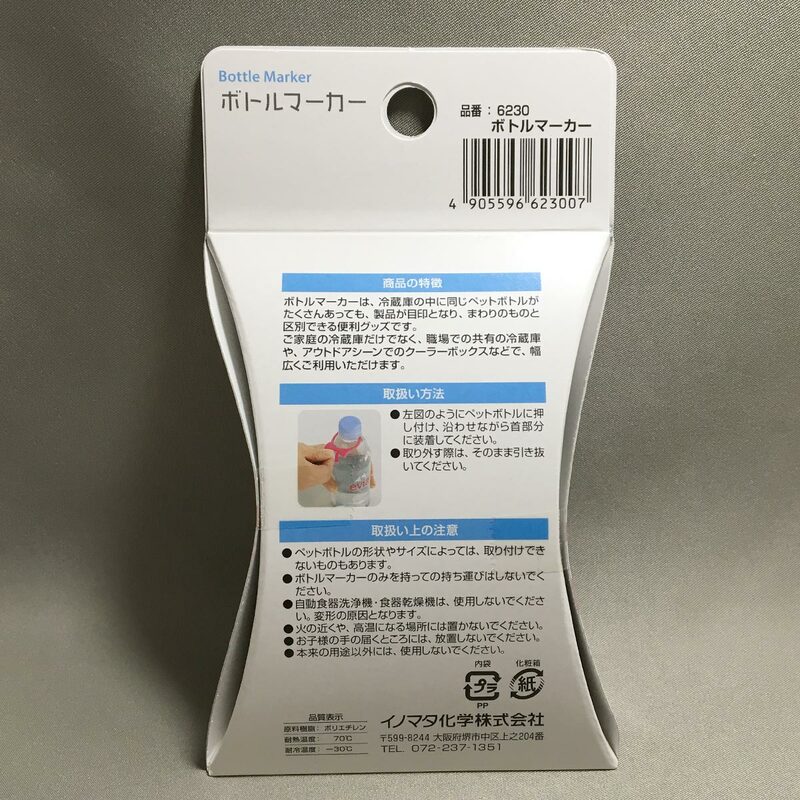 – Do not hold the bottle by the bottle marker. 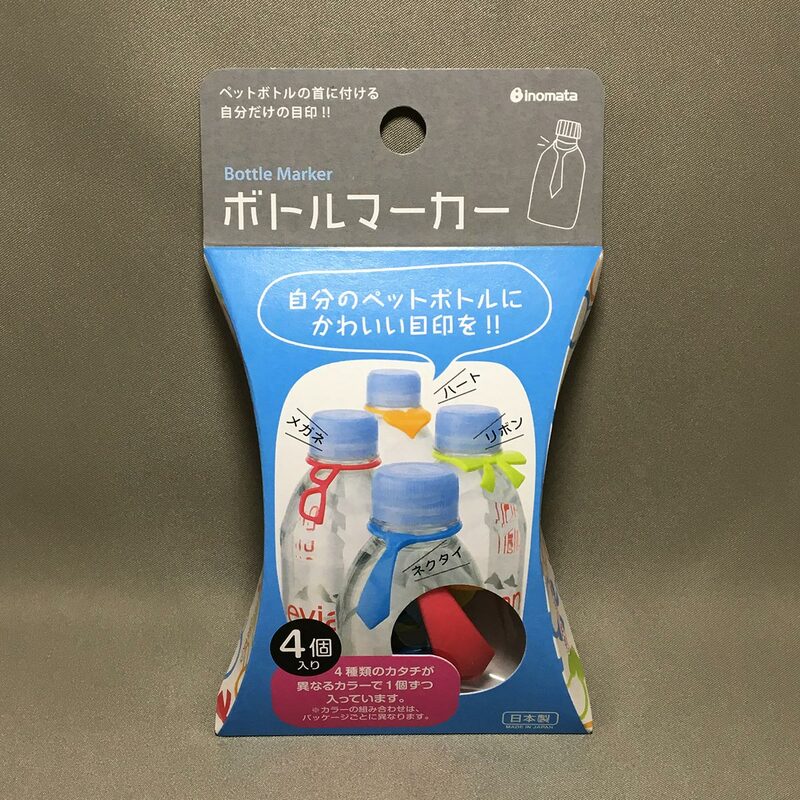 This is a great way to identify which plastic drink bottle belongs to who, and I’m sure they will fit other types of bottles. 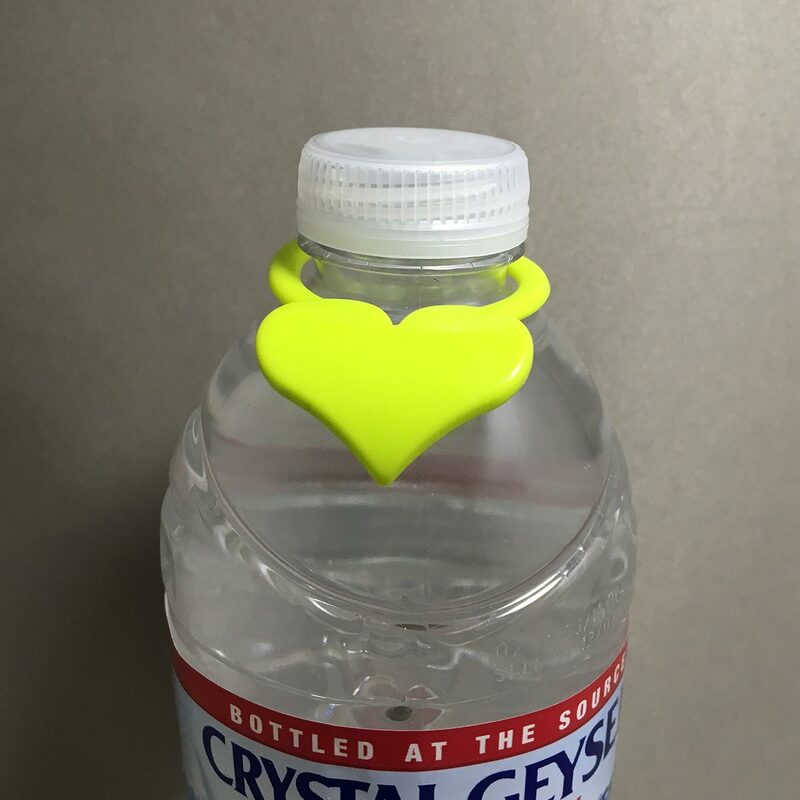 The plastic is soft to fit easily over the neck of the bottle, but not too soft to fall off as you hold onto it. Four may not be enough, so spend a few more 100 yens to get enough. Having this and the One Hand Tray for camping and barbecues, you’ll be set for the summer!